*IPv6 will be available by firmware upgrade. 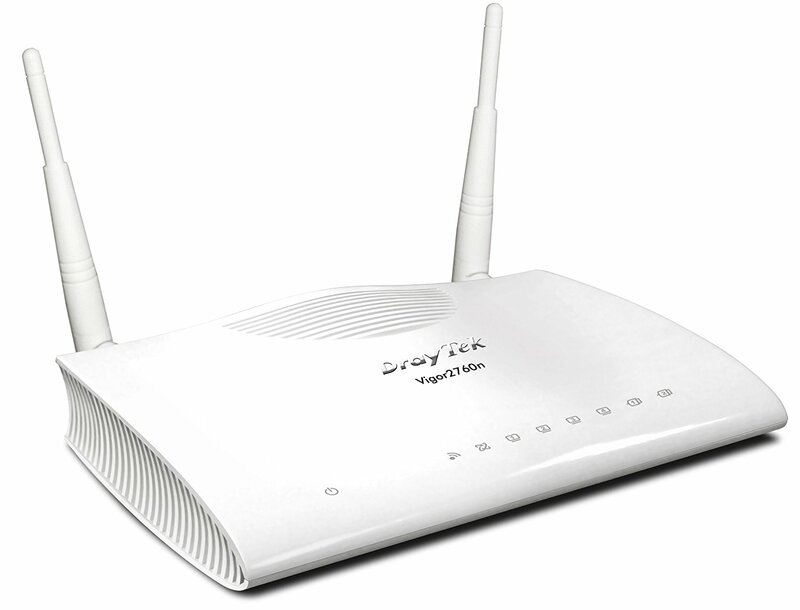 The DrayTek Vigor 2760 series VDSL2 / ADSL2+ multi modem routers are designed for VDSL2 broadband network and can also support ADSL2/2+ fixed line. 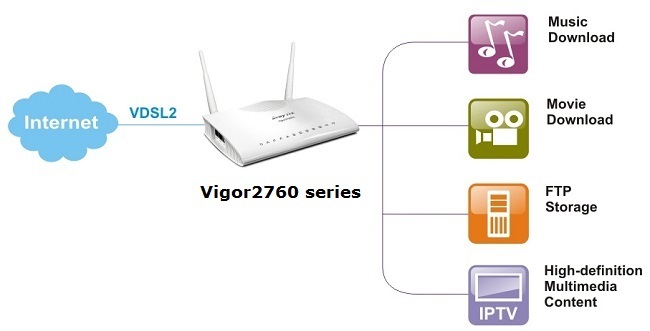 There are three models: Vigor 2760, Vigor 2760n (with IEEE 802.11n WLAN), and Vigor 2760Vn (with VoIP and IEEE 802.11n WLAN, coming soon). 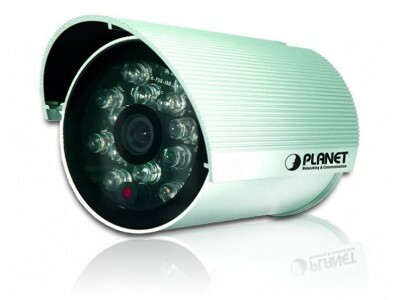 IPv6 support will be available as a firmware update to ensure future network and higher-speed WAN throughput, the high-definition multi-media streaming is available for home entertainment and digital learning. 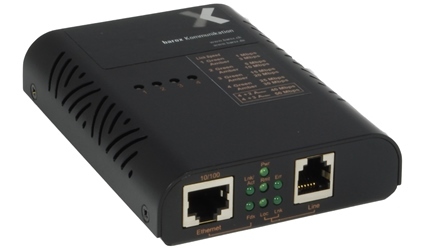 The embedded VPN connections allow family members to utilize ultimate broadband performance. 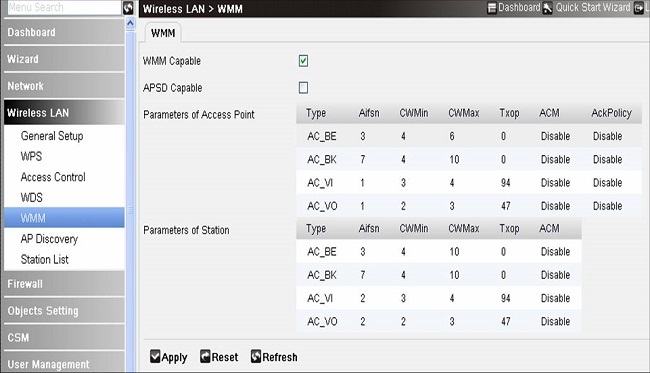 The MAC access control, multiple-SSID, authentication management on WLAN creates a secure wireless network. The users of your connected PCs can use the Web Portal Log-in and Bulletin Board to leave notes and reminders to each other. 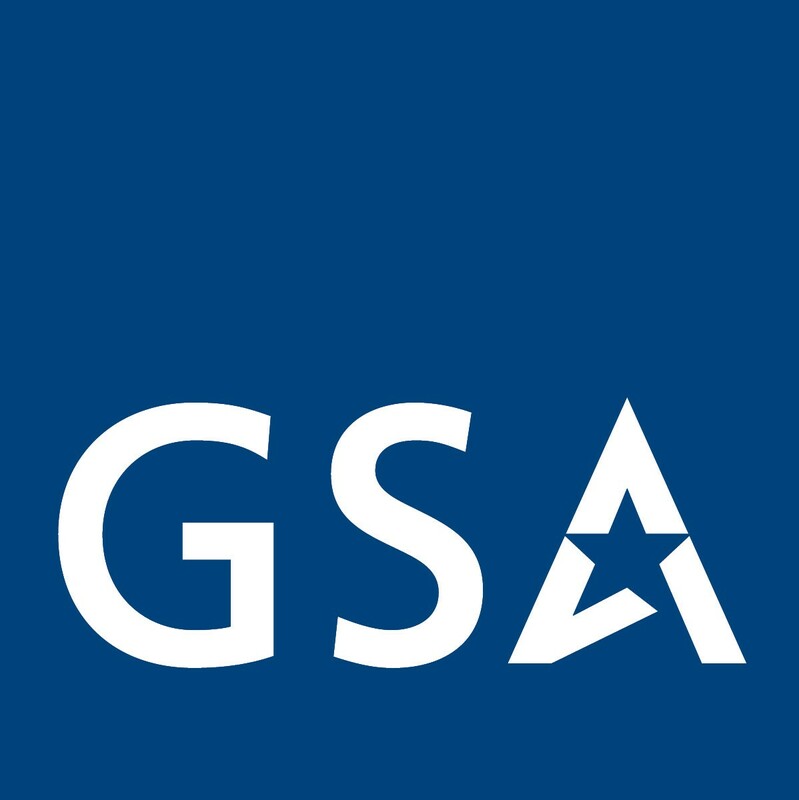 The content security management (CSM) protects / prevents your family or home office from unwanted access to web sites. 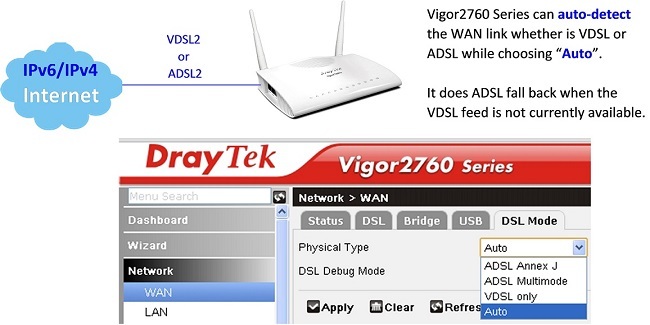 DrayTek's Vigor 2760N Dashboard view provides you with a system overview of WAN/LAN/WLAN functionality. 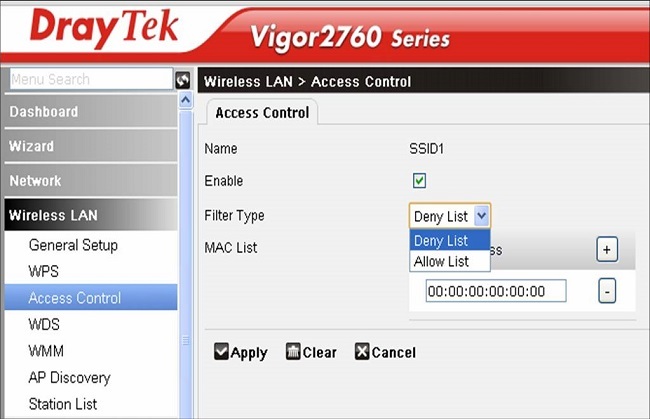 The DrayTek Vigor2760 Series can set 4 SSID groups. 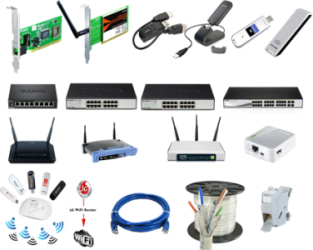 In Access Control, the router may restrict wireless access to certain wireless clients only by locking their MAC address into a black or white list. 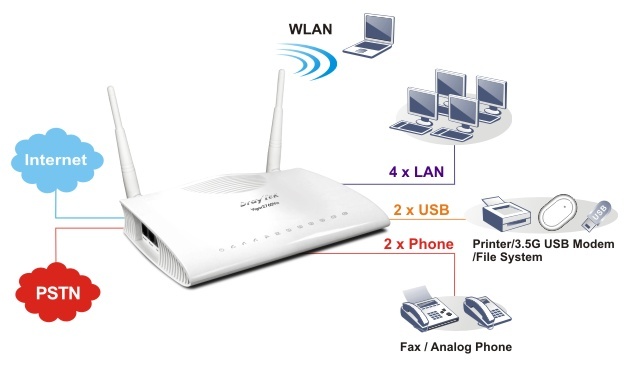 The user may block wireless clients by inserting their MAC addresses into a black list, or only let them be able to connect by inserting their MAC addresses into a white list. 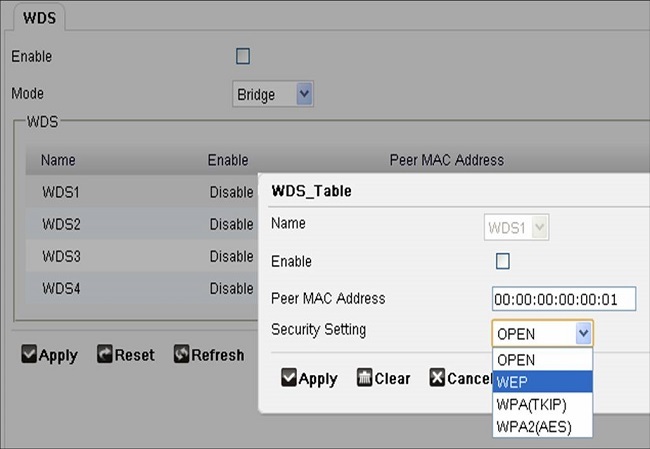 In the Access Control web page, users may configure the Allow List/Deny List (white/black list) modes used by each SSID and the MAC addresses applied to their lists. 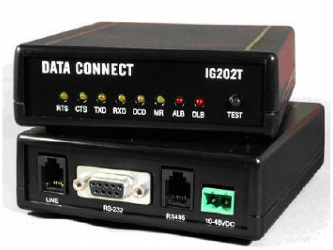 The 2nd subnet feature is availabe only on certain variations of this product. Pleasecheck with your local DrayTek office or dealer for specific feature support.